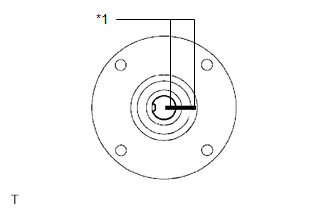 (a) Place matchmarks on both flanges. (b) Remove the 4 nuts, 4 bolts and 4 washers. 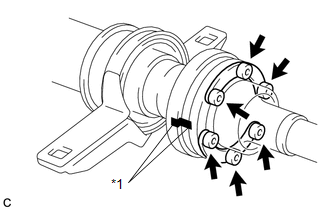 (a) Place matchmarks on the intermediate shaft and rear propeller shaft. Do not place matchmarks with a punch. 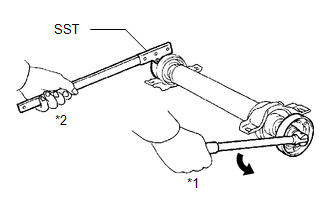 (b) Using a hexagon wrench (6 mm), remove the 6 bolts, 2 washers and intermediate shaft from the rear propeller shaft. 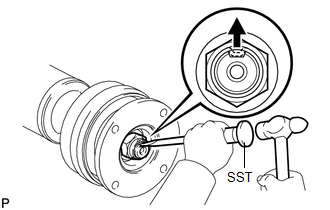 (a) Using SST and a hammer, loosen the staked part of the nut. 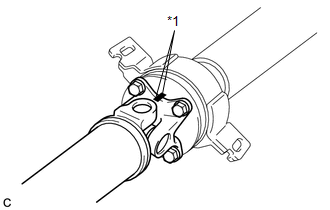 (c) Place matchmarks on the universal joint flange and intermediate shaft. 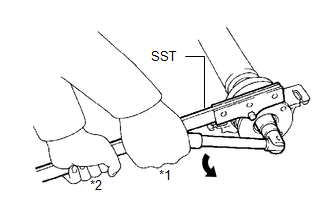 (d) Hold the intermediate shaft in a vise using aluminum plates and remove the universal joint flange using SST. Be careful not to damage the universal joint flange. 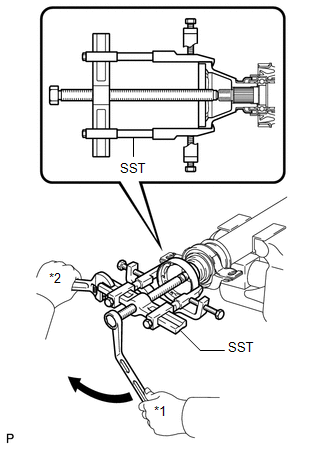 Apply grease to the threads and end of the SST center bolt (09953-04030) before use. (e) Remove the No. 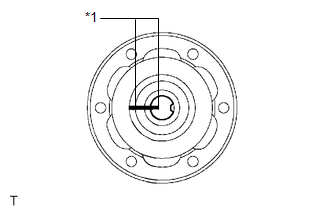 1 center support bearing assembly and washer. 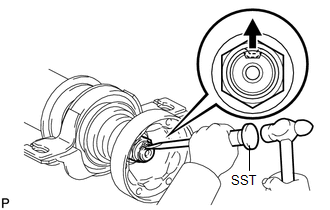 (b) Using SST to hold the universal joint flange, remove the nut and washer. (e) Remove the No. 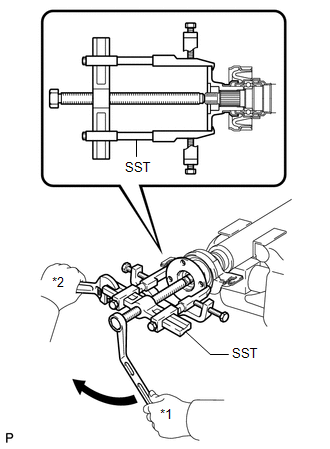 2 center support bearing assembly and washer.